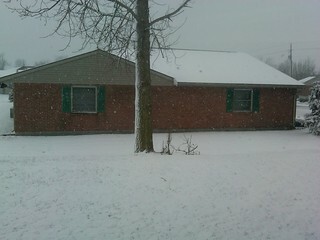 Here in Sidney we got about 1.5 inches right now, I attached a photo of what we got so far. Greenville 12:34: "I just measured 1.5"
Lima 12:38: "so far a big disappointment, lol. We have nothin' at this minute"
Lima 1:07: "Just started here." Keep 'em coming... The first hour or so here in Sidney the snow melted on the pavement, so that will refreeze into ice later with snow on top. I expect this will be common across much of the Miami Valley, be weary of hidden ice under snow covered roads! !